I just had several really interesting and productive meetings in Washington D.C. with great wilderness advocates. On behalf of the European Wilderness Society, I met with Jim Mathews and Marni Salmon of the PEW Charitable Trust to talk about their role in the conversation of wilderness in the United States. Today I met with Susan J. 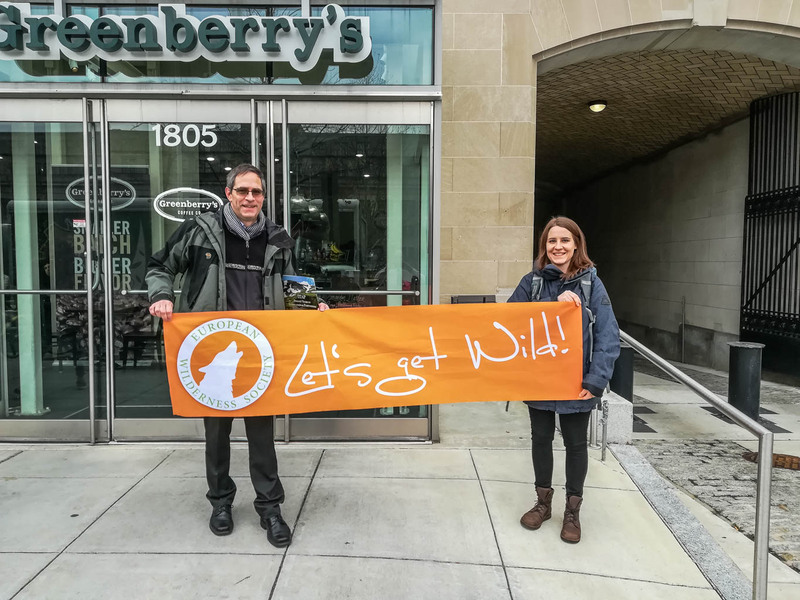 Spear, Director of the US Forest Service, and Sandra G. Skrien, National Wilderness Program Manager, of the US Forest Service to talk about similarities and differences in the American and the European approach to Wilderness protection. Topics such as zonation, the potential of rewilding areas as well as the criteria for wild rivers have been discussed during this productive meeting. I also met with Peter Keller, Program Advisor for the International Technical Assistance Program of the U.S. Department of the Interior, to talk about their work in Europe and possible future co-operations. Another interesting meeting was with Paul Sanford, National Director of Recreation Policy, of The Wilderness Society. Not just the names of our two organisations are nearly alike. We also share a focus on raising awareness for wilderness. Future co-operations, in particular for exchange projects, have been discussed during this meeting as well. Tomorrow I will head to Boulder, Colorado for meetings with John Hausdoerffer of the University of Western Colorado as well as with the Vance Martin of the WILD Foundation, the Leave no Trace Center for Outdoor Ethics and Erin Drake, Wilderness Communications and Outreach Specialist of the National Park Service.